KM Packaging, a global supplier of flexible packaging and lidding films, has optimised resource efficiency with advanced lidding. The company has harnessed its leading-edge KPeel range of advanced lidding film solutions to develop new, resource efficient, reduced-plastic packaging. The mono-PET film range offers a high-performance, ‘seal and peel’ solution for renewable pulp and pressed board trays, to allow manufacturers to respond to widespread consumer demand for new sustainable packaging solutions. According to KM Packaging, combining a renewable resource tray with KPeel high performance lidding presents manufacturers with an economical first-step in plastic reduction. This was demonstrated by the company in a recent development project involving a convenience food manufacturer. KM Packaging helped the customer to achieve a reduction in overall plastic packaging weight of more than 80% by moving from a CPET tray design to a PET-lined pressed board tray top sealed with KPeel PLUS+ film. The change is reflective of current trends in the market as food manufacturers seek alternative packaging solutions, delivering significant reductions in plastic use without compromising on functionality. 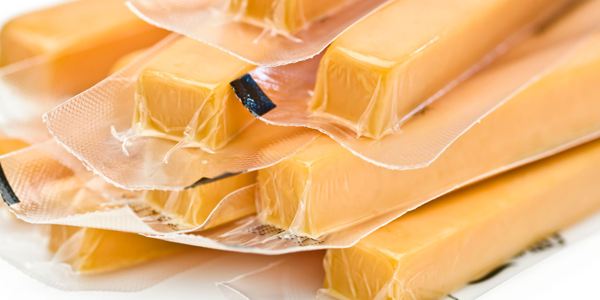 The versatile KPeel lidding film range is suitable for a wide range of needs including ambient, chilled, frozen and dual ovenable applications. Its high-level transparency and clarity also create outstanding shelf appeal for fresh produce in pulp punnets, such as tomatoes and strawberries. The KPeel range is suitable for printing, perforation and lamination to add functionality such as high barrier or improved strength. KPeel is available with or without anti-fog, in a range of thicknesses from 16-40 microns to meet the needs of a wide range of pack applications.